The state stands to lose funding for a range of programs and services, but would benefit from a beefed-up military budget. The budget that President Trump proposed Thursday would have serious consequences across Maine, disrupting scientific research and social services, affecting everyone from unemployed residents to those who rely on the sea to earn their living. If approved by Congress as proposed, the 52-page plan will strip federal dollars from programs that provide heating oil and meals to low-income Mainers, legal aid to indigent citizens, and funding for services that help the homeless. It would stop federal funds from flowing to Maine Public’s television and radio outlets, the University of Maine’s Sea Grant research program, and research efforts at the Wells Reserve at Laudholm, which could end up closing. The budget outline was quickly subjected to withering bipartisan criticism on Capitol Hill. Republican Rep. Bruce Poliquin of Maine’s 2nd District praised Trump for increasing funding for veterans and national security, but said he has concerns about many of the cuts. The president’s budget contains some potential benefits for Mainers, including increased funding for veterans’ services and opioid treatment and recovery, as well as funding to restart work on a long-stalled federal nuclear waste depository in Nevada, which would create a final resting place for the spent fuel stranded at the former Maine Yankee nuclear power plant in Wiscasset. And most of the proposed cuts in Trump’s budget are intended to fund a massive expansion of the military budget, which could benefit Maine’s defense contractors. The Environmental Protection Agency faces the largest cut in the entire budget – 31 percent and a staff reduction of 3,200 – which environmentalists say would devastate environmental protection in Maine. The cuts include nearly a third to state grant programs that help clean up abandoned industrial sites and protect air and water quality, and the elimination of grants to help Maine and other states mitigate radon, conduct beach water quality tests and buy cleaner-running school buses. The cuts also would affect the Maine Department of Environmental Protection, which receives more than 20 percent of its funding from the EPA, most of it to support clean air and clean water programs. The cuts were foreshadowed in a preliminary budget plan leaked last month. Collins, King and Pingree all condemned a 30 percent cut to the so-called “brownfield” program, which has helped Maine towns clean up closed mill and industrial sites so they can be redeveloped. Seth Barker of Maine Fresh Sea Farms in Walpole holds a line while Sarah Redmond of Maine Sea Grant attaches a string of winged kelp to a line in Clark’s Cove in 2015. President Trump’s proposed federal budget would eliminate the Sea Grant program. The National Oceanic and Atmospheric Agency’s Sea Grant program would disappear. The program has funded groundbreaking work on how to monitor juvenile lobster populations so researchers can better predict future health of the stock; assisted mussel, scallop and kelp farmers with research and methodological expertise; developed organic certification guidelines for sea vegetable growers; and helped monitor and contain bacteria and other marine pests that plague shellfish growers and harvesters. Sea Grant researchers created the Fishermen’s Forum – the industry’s premier event – in 1976, and helped found the Portland Fish Exchange and the University of Maine’s Lobster Institute, which researches issues of concern to the industry. The Sea Grant funding also helped pay for the removal of dams and restoration of fish habitat in the Penobscot River watershed, and now provides $600,000 a year to improve road crossings and culverts there. “Communities really care about this, because it’s allowing them to prepare better and make their roads better before a storm happens, to help reduce flooding,” said Kate Dempsey, state director for the Nature Conservancy’s Maine chapter, which is a Sea Grant partner. The budget also would eliminate coastal and marine management programs, which include the nation’s 29 National Estuarine Research Reserves. One of those – the Wells Reserve at Laudholm – is in Maine and another, the Great Bay Estuarine Reserve, is just over the border in New Hampshire. The $3 billion Community Development Block Grant program would be cut by President Trump’s budget. In Portland, the program helps fund Preble Street, a social service agency that operates a day shelter and a soup kitchen. The budget would eliminate funding for the $3 billion Community Development Block Grant program, which provides a wide range of funds for Maine cities and towns, and calls for the elimination of “a number of lower priority programs” at U.S. Department of Housing and Urban Development, including the HOME Investment Partnership Program. Community Development Block Grants and HOME funding have helped Portland address the needs of homeless people and improve housing and economic opportunities in low-income neighborhoods, said Mary David, the city’s housing and community development director. Last year, Portland received $1.7 million in block grant funds and $800,000 from HOME. Maine’s largest city spends about 45 percent of its CDBG budget on social services, including $150,000 for community policing. Programs that have been recommended for funding next year include food pantries, homeless shelters, mental health services, case work, child care subsidies for low-income single parents and a new program that would offer jobs to panhandlers. The city anticipates spending $807,000 on development activities, such as replacing sidewalks, workforce training for people facing barriers to employment, and other infrastructure programs. The Low Income Heating Assistance Program, known as LIHEAP, provides heating assistance to about 45,000 Mainers, and it would be gone under Trump’s budget. The budget document describes it as “a lower-impact program” that is “unable to demonstrate strong performance outcomes.” The U.S. Department of Health and Human Services program is administered in Maine by the Maine Housing Authority. 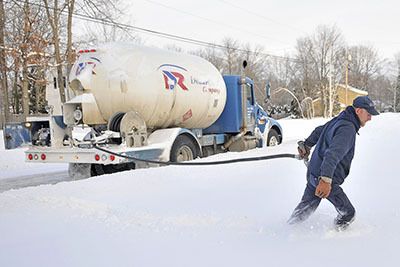 The program is particularly important in Maine, which relies heavily on oil for home heating. A family of four with an income under $47,350 is eligible for assistance. The budget would eliminate the Legal Services Corporation, a Nixon-era agency that provides funding for legal aid agencies that help the poor take grievances to court. In Maine, the agency provides $1.4 million a year to Pine Tree Legal Assistance, a 50-year-old legal aid agency that represents poor Mainers in 4,500 cases a year. “That funding represents over half our budget for general legal services, and that’s especially important in rural Maine because we have fewer funding sources in rural counties,” said Nan Heald, Pine Tree’s executive director. A volunteer for Pine Tree, Tom Cox, made national news after exposing the “robo-signing” scandal among sub-prime mortgage lenders. In its early years, Pine Tree brought young legal fellows from out of state, including a young Virginia lawyer named Angus King and attorney Tom Tureen, who would reach the 1980 Indian land claims settlement with the state, transforming the rights of tribal people in the eastern United States. If the Legal Services Corporation were eliminated, Heald said, Pine Tree wouldn’t close but would likely have to close some of its six offices around the state. The budget would cut the U.S. Department of Agriculture by 21 percent. John Bott, spokesman for Maine’s agriculture commissioner, Walt Whitcomb, said the commissioner was not available to comment on what effect the cuts could have in Maine. The USDA regularly gives grants to Maine farms and farm-related businesses. The farm conservation group Maine Farmland Trust, which has protected 53,871 acres of Maine farmland, also provides services to farms that are aided by USDA grants. Last fall, the USDA announced a grant to the trust to help its “Farming for Wholesale” program, which helps farmers find wholesale markets for their goods. For smaller-scale farmers, finding a place in a bigger marketplace can be one of their toughest challenges. “We are very concerned about any proposed cuts to the USDA budget which could directly impact the availability of programs and services that many of Maine’s farmers rely on for technical assistance and financing support,” said Amanda Beal, president of the Belfast-based trust. Among those programs are those implemented by the USDA’s Natural Resources Conservation Service, which gives technical support to farms across Maine on topics diverse as soil and energy usage. The Maine office of the USDA’s Farm Service Agency works on everything from disaster and flood relief to helping dairy farmers with protections on milk pricing. Trump’s budget would cut $9.2 billion, 13.5 percent, from the Department of Education budget, reducing or eliminating grants for teacher training, after-school programs and aid to low-income and first-generation college students. It would add $1.4 billion for school choice programs, including charter schools, private-school vouchers and other alternatives to public schools. Maine gets almost $700 million in funds from the Department of Education every year. Most of it is for grants to help students pay for higher education: $409 million for federal direct student loan program, $104 million in Pell grants and $8.3 million in federal work-study grants. Maine’s federal Department of Education grants for K-12 programs include $58.6 million for special education, $53.6 million for Title I funds for disadvantaged youth, $15.8 million in vocational rehabilitation and $10.7 million for effective instruction. Nationwide, federal funds pay for 8 percent of elementary and secondary education; the rest is funded by the state. In addition to the Department of Education, federal education funds come from the Department of Health and Human Services’ Head Start program and the Department of Agriculture’s School Lunch program. Maine gets about $13 million in Head Start funds and more than $45 million for various child nutrition programs. By contrast, Maine’s charter schools could benefit from the increase in federal funding available. So far, three charter schools in Maine have received a total of about $1 million in federal funds, in the form of grants to develop performance-based education plans, or technology grants. Trump is proposing to dismantle the National Endowment for the Arts and the National Endowment for the Humanities, which together provided more than $2.8 million in Maine last year. The NEH awarded $1.65 million to Maine institutions in 2016 through the Maine Humanities Council, which relies on the NEH for 73 percent of its budget, said executive director Hayden Anderson. Recent NEH-funded projects include the council’s $145,000 14th Amendment project, which last year challenged artists and humanities organizations to create work relating to the 14th Amendment to the U.S. Constitution, which addresses equal protection. It granted the Maine State Museum $275,000 to digitize 100,000 pages of historic Maine newspapers. Another $300,000 is helping the Maine Historical Society install a solar energy system at a warehouse storage facility that it jointly operates with the Portland Public Library. Since 2013, the NEH has given the University of Maine $339,400 to digitize an unpublished Penobscot language dictionary, create a revised and expanded database, and prepare a web-based and print dictionary. The NEA spends about $1.2 million in Maine each year. That money supports staff at the Maine Arts Commission, programs such as Poetry Out Loud, and individual artists and arts organizations, who compete for about $500,000 in grants – some for as little as $500, some for $50,000 or more. Maine composer Daniel Sonenberg wrote to Collins on Thursday, objecting to Trump’s budget. Sonenberg used $15,000 in NEA money to help complete his opera “The Summer King,” which will premiere in Pittsburgh in late April. Maine Public, the statewide public radio and television broadcaster, would lose $1.7 million, 14 percent of its annual budget, under the Trump budget. The Corporation for Public Broadcasting, which gets $485 million annually and distributes most of that to local public broadcasters, would lose all funding. Maine’s statewide public radio and television broadcaster, Maine Public, would lose $1.7 million, or 14 percent of its annual budget. The loss of such a large chunk of its budget would be “very serious,” but would not mean the network’s five TV stations and 12 radio stations would “go away,” said Mark Vogelzang, Maine Public’s CEO. He said Maine Public is in better shape than some public broadcasters because of a $30 million fundraising campaign that began in 2013 and is nearly complete. 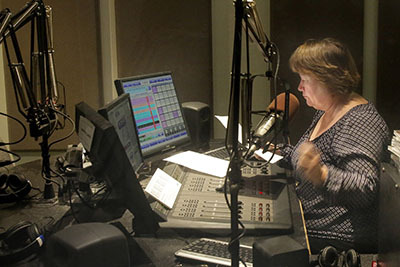 If federal funding is cut, Maine Public could draw on the funds to fill future budget gaps, although some of it has already been used to buy stations and equipment for the broadcaster’s five-station Maine Public Classical radio network. “We started (the fundraising campaign) to build Maine Public Classical, to build up our journalism and our digital efforts, and to keep the network strong in the face of the kind of threat we’re now facing,” Vogelzang said. Trump wants to eliminate this federal-state partnership, which provides funding for infrastructure, land preservation, workforce training, and public services in distressed communities in the “Northern Forest region” of Maine and three other states. The commission, founded by an act of Congress in 2008, has invested $8 million in the region since 2010, including $250,000 to help Acme Monaco expand in Presque Isle, another $250,000 to three St. John Valley towns to build boat landings and picnic areas for the 2014 World Acadian Congress, $250,000 to upgrade a roadway to attract investment in a Jay stone quarry, and $200,000 to help Van Buren build a vegetable processing plant for local farmers to expand their markets. “It’s been a very valuable source of economic development dollars for Aroostook County,” said Jon Gullver, director of innovation and community relations at the Northern Maine Development Commission in Caribou. The military would see a staggering increase in funding under Trump’s proposal. The budget adds $52 billion to the Department of Defense budget, restoring it to the level before cuts made under former President Barack Obama took hold. Bath Iron Works, the biggest defense contractor in Maine, could benefit from increased defense funding. The shipbuilder relies on military contracts for the bulk of work done there, and Trump has pledged to rebuild military assets, including Navy ships. If Trump follow through on his pledge to rebuild all areas of the military, including deferred maintenance of equipment and adding new supplies and munitions, that could be good news for other defense contractors. Pratt & Whitney has a facility in Berwick that produces components for the F-35 fighter, though Trump has criticized that program in recent months. A number of smaller engineering and contracting firms in Maine have won defense contracts in recent years. Spokesmen for both BIW and Pratt & Whitney spokesman declined to comment on the budget. The Department of Veterans Affairs would receive a 6 percent increase in programming funds for the next fiscal year, and a state veterans advocate said there is no question the increased funding will help veterans services in Maine. Absolutely, in the long run, it’ll be good for us,” said Gary Laweryson of Waldoboro, a retired Marine who is chairman of the Maine Veterans Coordinating Committee. “It’s up to us to make sure they use it the right way.” The funding boost could allow for some expansion and rehabilitation of buildings at the VA Maine Healthcare Systems-Togus, the federal hospital campus outside Augusta, he said. Correction: This story was updated at 10:48 a.m. on Friday, March 17, 2017 to correct the number of acres protected by the Maine Farmland Trust. Staff Writers Randy Billings, Noel Gallagher, Bob Keyes, Mary Pols, Ray Routhier and Eric Russell, and Kennebec Journal Staff Writer Jason Pafundi contributed to this report.